When it comes to buying Premixed Ramming Mass, our company is the largest manufacturers, suppliers and exporter of these. We are the only company to offer these material to customers as per the furnace capacity and users requirements. only BSE listed company in this field in the world. In order to have remarkable mixture, we ensure to do proper mixing of binders, less wastage and use boric acid. 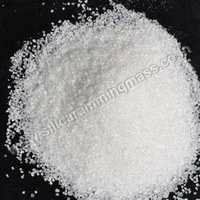 To give customers excellent results, we work dedicatedly and provide them ramming mass as per their furnace make and capacity, Our company also do mixing of granulation in accordance with the requirements of valuable customers. Further, offered high quality Premixed Ramming Mass are subject to normal aging and are suggested to use within span of six months.